Can Peace be conquered on the Planet permanently? 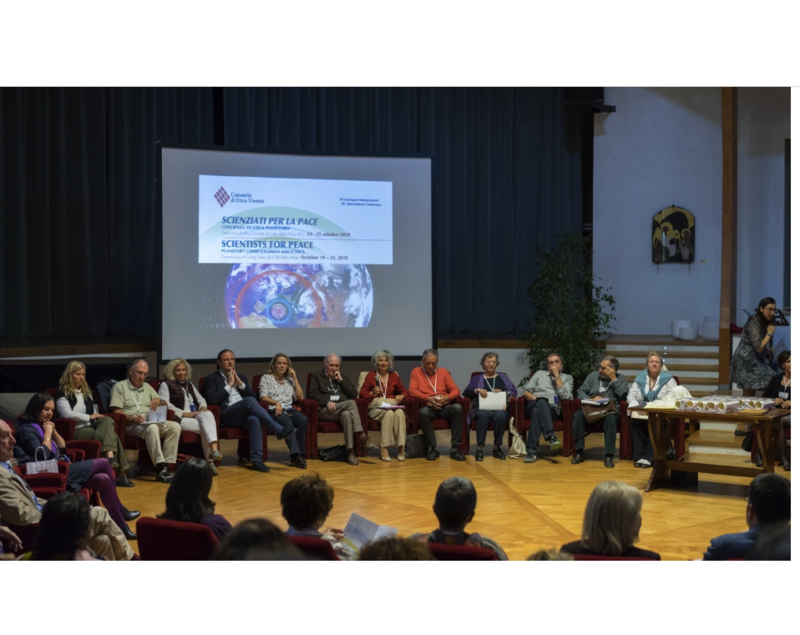 For the researchers of various branches of learning who took part in the International Conference “Scientists for Peace” – which was recently held in the “Aula della Cultura” – the answer is yes. The first step will be the commitment to increase the awareness of that part of the public opinion conditioned by information that is often distorted and incomplete. Only effective communication can enable individuals to know, and therefore operate, with increasing awareness, in their daily actions, respecting themselves and their peers. Starting from their own consumptions and rethinking their needs, whose ideological, as well as economic, burden harms the entire planet and its resources. All this requires dialogue between the various disciplines to arrive at a joint effort where Psychology and Physics intertwine in Mathematics and Law, Economics and Education, Philosophy and Medicine. The goal is a Healthy world where Prejudice, Fear and War are no longer present. Where Science, as well, gives human beings awareness of the Cosmos, revealing more and more surprising analogical correlations and interconnections, taking a position for certain distortions to be corrected. For these purposes, the scholars who took part in the Convention have signed the “Declaration of the Scientists for Peace” which will be sent to UNESCO [see text below]. Formative interventions are encouraged to increase a responsible human and social conscience in the school and university paths of those who become practitioners of applied sciences. Starting from the acceptance that scientists and technicians who are part (or that such could become) of a chain of production of war instruments can oppose, appealing to the ethical principles on which the applied sciences must be based. And that, at the same time, intervene in the media so that the war does not continue to be considered possible but definitely reveals the face of an absolute aberration and violation of fundamental human rights. The Declaration will be brought into the world and will be enriched in the coming months with the signing of other scientists who will be joined under the aegis of “Flag of Peace”, the international association that promoted the conference and has in its mission the promotion of Culture as instrument of Peace, through Science, Art and Philosophy. How can we ensure that science contributes to peace and sustainable development? Visit the Conference page to see photos, videos and to download the file of the abstracts of the speeches. Science has an important role to play in promoting and achieving peace on Earth. The main question which we ask in this respect is, why are scientists and engineers, highly educated individuals, willing to violate basic humanistic principles by developing and producing weapons? This is mostly due to a limited ethical consciousness, whereby each human being is seen as an isolated individual, and the wider implications of one’s work for society and for humankind are usually belittled. To change this state of affairs we must become conscious of the fact that humankind can only thrive in peace if it is able to live up to universal ethical principles. Peace on Earth can be fostered and maintained; a world without wars can be developed, where peaceful relationships of responsibility and respect among peoples and individual human beings are properly cultivated. How can this vision be achieved? What is the proper role for scientists and engineers to fulfil this vision? • Schools and universities should be strongly invited to offer courses addressing the social responsibilities of scientists and engineers, especially concerning the potential and actual warfare applications of their work. Along with their professional expertise, science and engineering students should develop the ability to raise societal awareness about the threats that existing and prospective weapons systems pose to the survival and flourishing of humankind, especially in connection with weapons of mass destruction. • It should be made clear that scientists and engineers consciously participating in the development, production, distribution and use of weapons of mass destruction go against the fundamental ethical principles that should be at the core of science and engineering. • Everybody shall have the right to refuse to obey when it comes to the use of weapons of mass destruction and should be protected accordingly. • It should be continually reaffirmed that mass media and other sources of information which advocate the view that waging war is an acceptable way to solve conflicts betray universal ethical principles enshrined in the Charter of the United Nations and the prohibition of propaganda for war asserted in the United Nations International Covenant on Civil and Political Rights.